This Miles son is out of power cow who is extremely productive with a great udder. This bull really came on this fall and we like him more and more every day. Big bodied and thick made with a ton of rib shape and dimension. On the EPD side of things, he is top 2% of the breed in BMI and BII, top 5% in cow fertility, milk, m&G and top 10% CHB Index. 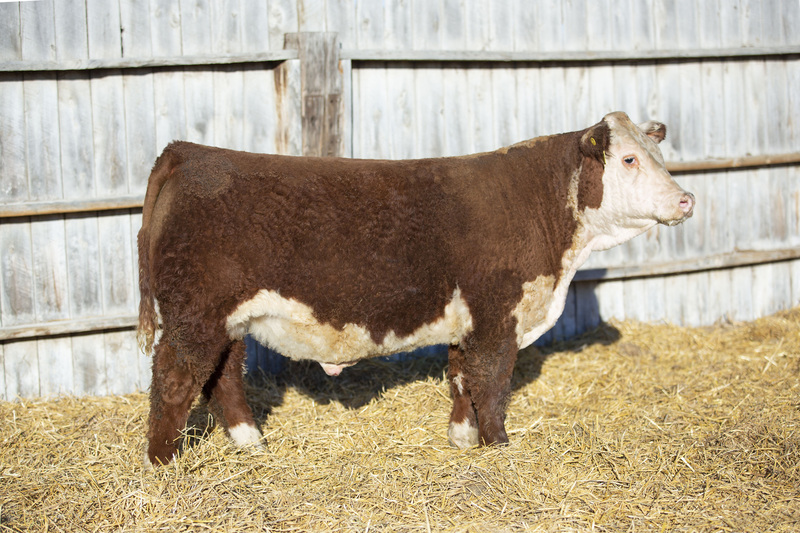 Another bull sired by Top Tier 1414. Well balanced moderate bull, good pigment and structure. Goggle eyed, short marked, cherry red to the ground calving ease prospect. F4 is out of a 1st calf heifer that really performed well. F4 will work on heifers. F5 has Colyer’s Notice Me cow on both the top and bottom side of his pedigree. This stout Miles 4140B son has good pigment and a nicely hooded eye. F5 posts a very nice number profile with high calving ease and good carcass indications. Will work on heifers. Horned. Another great example of the 332A x Z712 breeding. F13 shows good depth of rib, is big topped with excellent muscle definition. F13 is free moving as well. Very good bull here. High performing son of Stuber’s Right On 2203Z ET bull and out of our X9 cow. 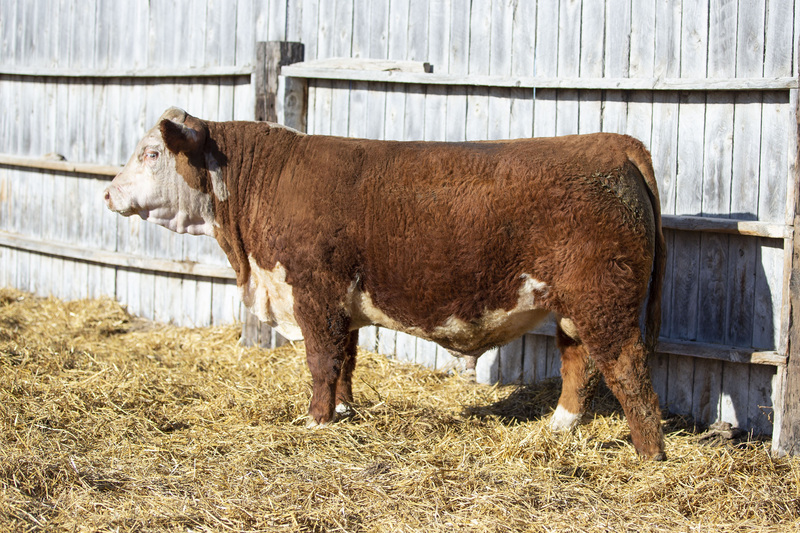 X9 has been a stand out her whole career and is owned with BRB Cattle. F19 is well pigmented, short marked and moves well. A big more frame here.